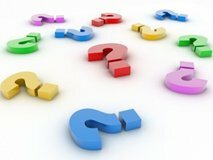 Ask Questions - Do You Have a Question on a Topic Related to Tropical Plants and Flowers? Do you need help identifying a tropical plant, flower, or tree? Are you wondering which tropicals will thrive in you garden or landscape? Would you like advice on choosing the best water or landscape feature? This is the place where you can ask questions about topics related to tropical plants and flowers. It's free and it's easy to do. If you're unsure of where to enter your question, choose any category you think it would fit in. When answered, it will be moved to the appropriate section - and don't worry; you will still receive your answer. Submit questions related to tropical plants and trees. Examples: Questions related to plant care (watering, planting, potting, propagating, etc. ), plant identification, and climate requirements. Submit questions related to tropical flowers. Examples: Questions related to flower care (planting, watering, planting, pruning, etc. ), flower identification, and climate requirements. Submit questions related to landscaping. Examples: Questions related to landscape design (elements of design, color theory, landscape planning, etc. ), landscape structures, water features, lighting, and hardscaping. Submit questions related to gardening. Examples: Questions related to garden design (style, color theory, garden planning, etc. ), planting tips, garden features, and gardening tools. Submit questions related to water gardens. Examples: Questions related to water garden design (style, location choice, installation, etc. ), water plant tips, special features, and water life options. Submit other questions you might have about tropical plants and flowers. Examples: Questions related to houseplant care, container choice, tropical wedding flowers, etc. I will do my best to answer each question accurately and thoroughly; however, I invite you to contribute and/or comment on any of the answers provided. I encourage you to ask a question, answer a question, or do both. I look forward to receiving your questions and comments. These pages were created to answer questions on topics relating to tropical plants and flowers. Anyone can ask questions, answer questions, or comment on questions, as well as read about problems that others are having, and find out how to solve them. Think of it as a continually growing and evolving FAQ about tropical plants and flowers (as well as other related topics).